Once upon a time, “Pay-Per-Click (PPC)” referred to a digital marketing practice where companies were charged each time somebody clicked on their search engine ads. But with the rise of social, display and programmatic platforms, PPC marketing has expanded to involve more than search engines alone. These days, PPC specialists run paid campaigns across a variety of channels, and while the territory has changed, the reporting tactics haven’t. You’re not alone if you find that the following things are holding you back from the advanced PPC reporting of your dreams. Most PPC specialists still end up pulling the same reports about the same quantitative metrics from Google Analytics. The problem is that different platforms (Facebook Audience Insights, Google AdWords Dimensions tab, Google Analytics, Bing Reporting) speak different languages. Each platform’s PPC attribution models are different, their user data tracking is different, even some of their definitions are different. Just look at how we measure “clicks.” On Adwords or Bing, a “click” means someone clicked from an ad through to your website. Meanwhile on Facebook, a “click” could mean clicking from an ad through to your Facebook page, your website, or just reacting to the ad itself. With different platforms and tools telling you different things, it’s pretty easy to make inaccurate conclusions about your PPC performance. Tactics and terminology aside, these quantitative metrics don’t paint the full qualitative picture. Seeing that your click-through rates have increased doesn’t necessarily explain why. If you saw that the cost of bread went down one day, you wouldn’t blindly assume that production of wheat got cheaper overnight. You would look into the expiry date, the shelf date and examine the product to try to understand the story behind the numbers. So what do your metrics actually mean, and how can they help you drive more qualified traffic to your site? We’re here to help you generate insights from your PPC reports and show you how PPC performance can impact your landing page strategy. You want your PPC reports to provide takeaways that you can use to optimize your campaigns. There are a few measures you can take, together or on their own, to better understand your campaign performance. Surprise, surprise! A conversion is one more metric that differs by channel. This is partly because each platform has a different attribution model, and partly because users have different intentions and behaviours per platform. Similarly, a user landing on your website through a non-branded keyword is less likely to convert than someone clicking through a branded keyword. It can be even harder to identify intent through social platforms, as users scrolling through feeds may come across your ad and engage out of interest but not be ready to convert. Establishing platform-specific KPIs is an essential step to ensure you know what success looks like on every channel. Given that each individual user’s intention varies by platform, it’s important to target your ads where they will be best received. Instead of assuming every interaction is equal, use your platform insights to identify key audience groups and segment for target personas. How do your audiences convert differently across various platforms? How do you measure success differently between your branded and non-branded search campaigns? How are you targeting different user segments through social campaigns? A great way to identify whether you’re attracting relevant traffic is by keeping a close eye on your Search Query Report in AdWords and Bing. This report allows you to see exactly what people typed into the search engine when your ad appeared, so that you can adjust your keywords accordingly. Are you noticing an abnormal bounce rate or reduced number of sessions week over week through a specific source or medium? Setting up event tracking through Google Tag Manager can help you better understand on-site behavior and create custom metrics. Your primary conversion may be an e-commerce purchase, but that doesn’t mean newsletter sign ups aren’t valuable. Tracking micro-conversions can give you a clearer idea of how people are engaging with your site and where there might be gaps in information. At our Call to Action conference, Dana DiTomaso advocated for Google Data Studio as a great way to combine all your data into custom reports and dashboards. If you’re doing cross-channel online advertising (which you no doubt are), it’s important to be able to see all your metrics visualized in one place. It makes it easier to draw analyses and gather insights to then share with colleagues or clients. Of course, it’s not enough to just put your conversions and KPIs into a beautiful report — it’s what you do with your PPC insights that matters. Let’s say you spent years learning how to make smart investments. You met with stockbrokers, studied the market and opened a brokerage account. Would you expect money to just start rolling in? Of course not — because you actually have to invest to see results. Similarly, in order to make the most of your PPC insights, you have to act on them. Begin by applying insights from your PPC metrics into your landing pages. You want to customize your landing pages to meet the needs of your key audiences so you can give users exactly what they’re looking for. To this end, Dynamic Text Replacement (DTR) can be used to sync up search queries to the landing page. Say a website sells furniture. If one user searches for “modern leather sofas” and another for “comfortable leather couches,” the ad copy for each result should reflect the search language. The ads could then take users to the same landing page, but DTR would generate different titles or subheading text accordingly to match these original search terms. Everything else on the page may be the same, but both users would feel like they found exactly what they were looking for. This keeps landing pages hyper-relevant (and high-converting), and saves hours of redundant work. Want to preview how you can use DTR to ensure relevance from ad to landing page? Try it out. Google cares about the relevance of landing pages to ads, and has recently introduced more in-depth Quality Score metrics within the AdWords interface. This makes it easier to see exactly what is affecting your Quality Score and which area you should improve on, whether it be ad relevance, landing page experience or expected CTR. By syncing up your ads and landing pages, you can provide a frictionless experience to users and increase conversions. 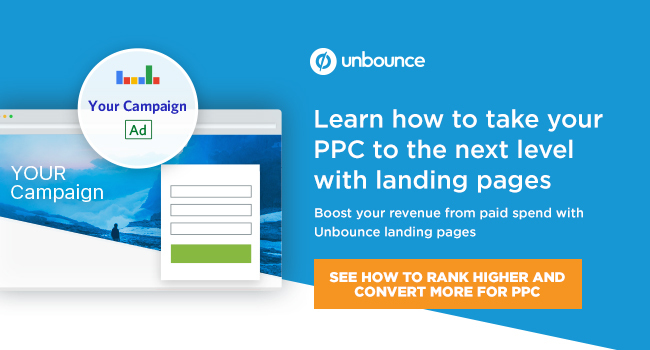 Strong landing pages can also improve PPC performance as they increase Quality Score and landing page relevance, which lowers your CPC and increases ad ranking. This way, the users receive information that is highly relevant to what they are searching for. When all is said and done, landing pages should be A/B tested so you know which on-page factors lead to higher conversion rates. 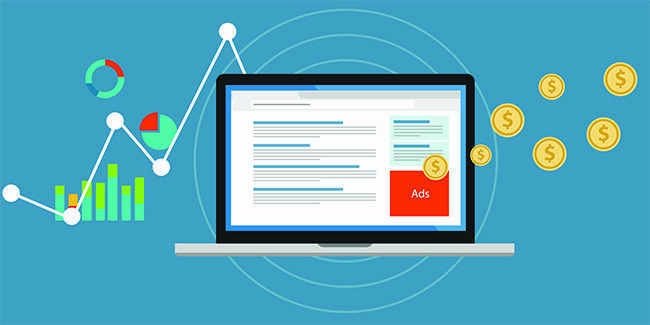 That way, your next PPC campaign can be informed by your landing page results, and your future landing pages can be informed by your PPC campaign performance. If that’s not a beautiful full circle, then we don’t know what is.